1 BEDROOM / 1 BATHROOM / 1 PARKING SPACE / 793 S.F. 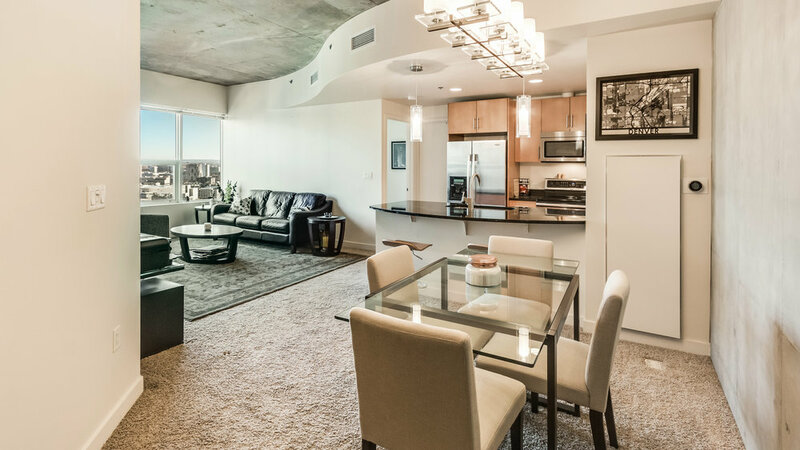 Spire 2116 is perched above the bustling streets of Downtown Denver with endless views of the city and the mountains. The bedroom and living room both sit along the window wall, which brings in ample light to instantly brighten your mood as you walk into the home. 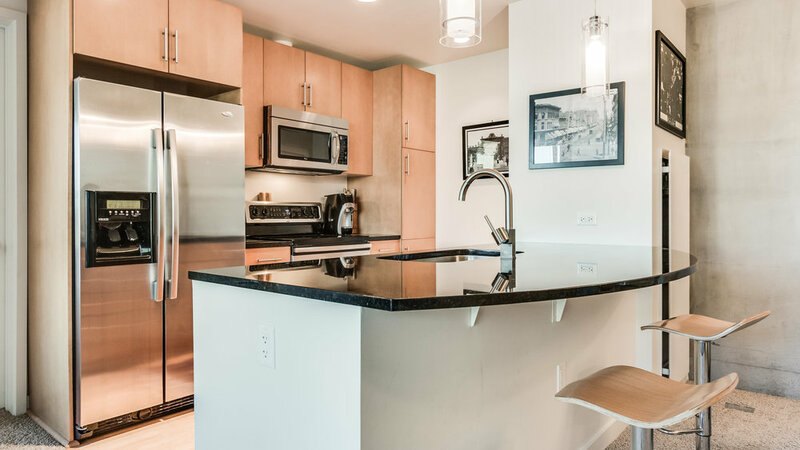 The additional light fixtures, stainless steel appliances, and eat-in kitchen peninsula complete the abundant array of interior features. Prepare dinner or drinks in your gourmet kitchen as your guests enjoy each other's company in your sizeable living space. Complete furniture package available. Spire is the pinnacle of urban living with a 24-hour staffed front desk and fitness facility, spacious lounges, guest suites and year-round outdoor pools. It's steps from the city center with hundreds of restaurants, bars, and shops. Not only that, but it's a few blocks from the revitalized Union Station and RTD's A-Line train to DIA.